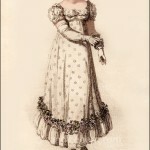 La Belle Assemblée, August 1818. 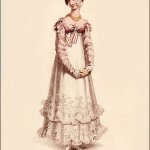 The later years of the Regency saw waistlines for evening dresses rising to the extent that bodices became teeny tiny. 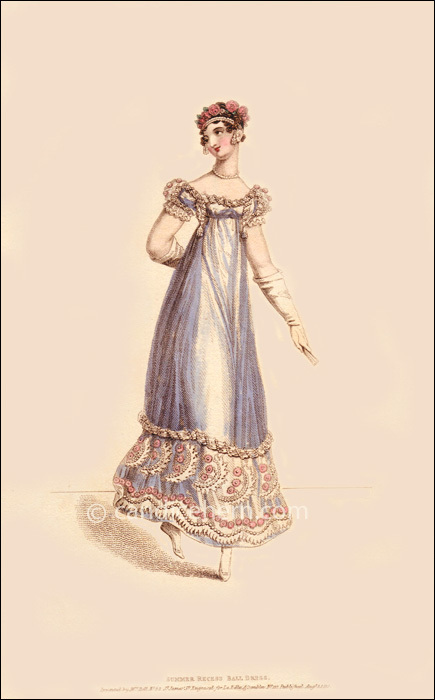 One has to wonder if the prints of the period reflect a certain exaggeration, or if some women actually did where such minuscule bodices.